Heat oven to 375°F. Line large rimmed cookie sheet with cooking parchment paper. On work surface, unroll dough. Press or roll to form 13x9-inch rectangle. Cut into 4 rectangles (6 1/2x4 1/2 inches), and separate. 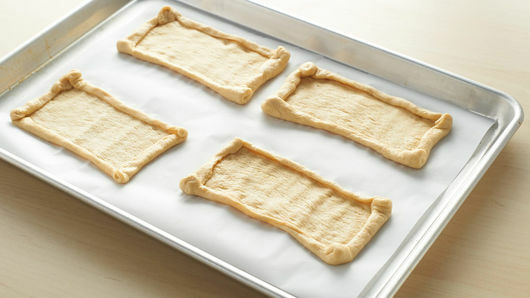 Place dough rectangles on cookie sheet. For each rectangle, roll edges toward center to form 1/2-inch rimmed edge around each. 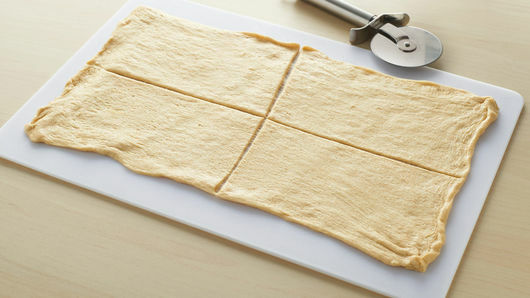 Carefully break 1 egg in center of each dough rectangle. (Egg may run over slightly.) Top each with ham, bacon and cheese. 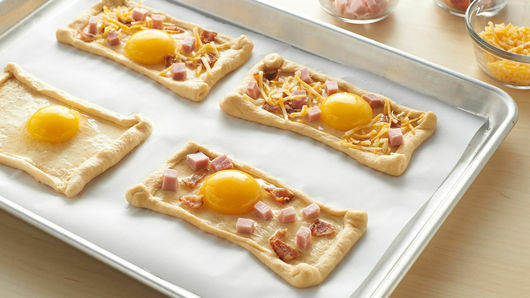 Bake 18 to 22 minutes or until edges of crescent dough are golden brown and egg whites and yolks are firm (not runny). Try shredded pepper Jack cheese instead for a nice spicy kick. 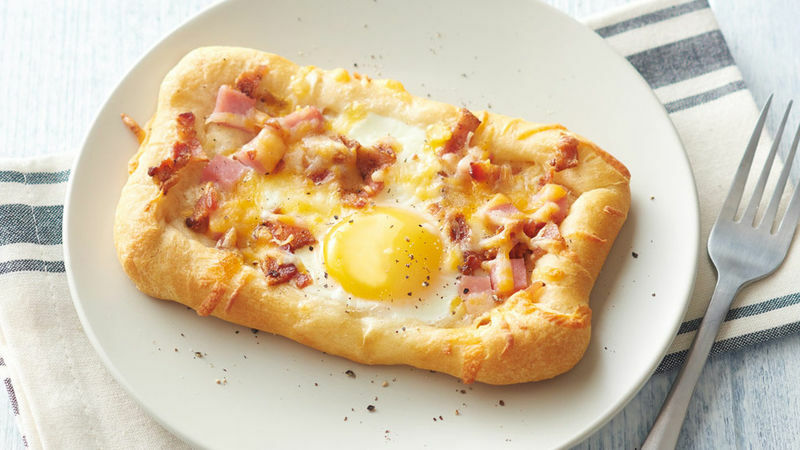 Medium to large eggs are better for this recipe to avoid egg running over top of dough.